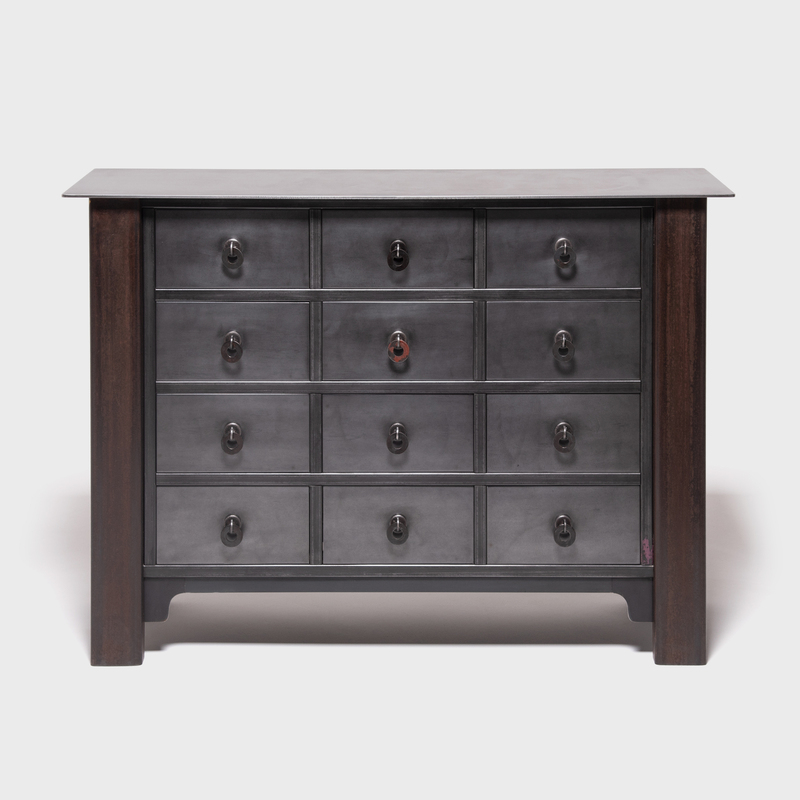 W: 60.5" D: 16.25" H: 35.0"
Created exclusively for PAGODA RED, the Ming Steel Collection by artist Jim Rose forges a connection between Shaker minimalism and the simplified lines and austere aesthetic of Ming-dynasty furniture. 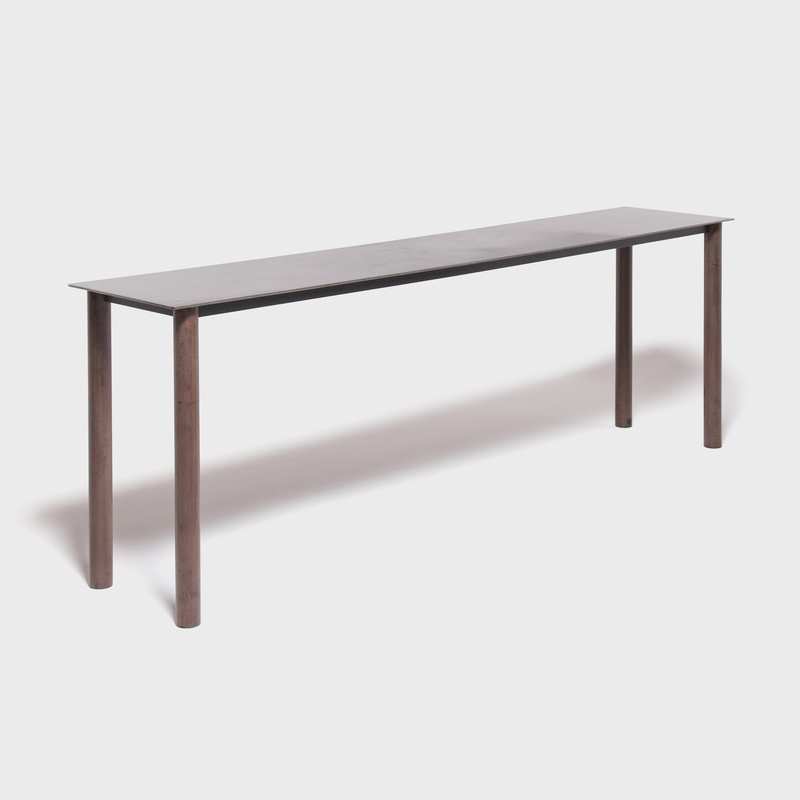 The culmination of years of studying the vernacular history of furniture design, these timeless forms crafted of found steel draw a continuous link between the past and the present. 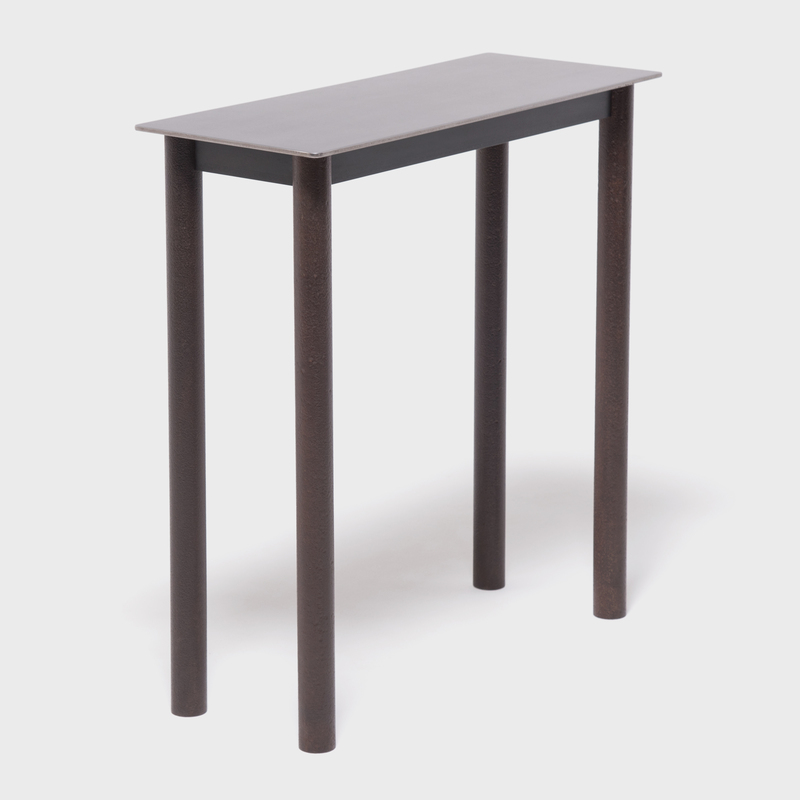 Rose balances function and form in this handcrafted steel wine table, finished with a rich patina that evokes the sleek look of lacquered wood. 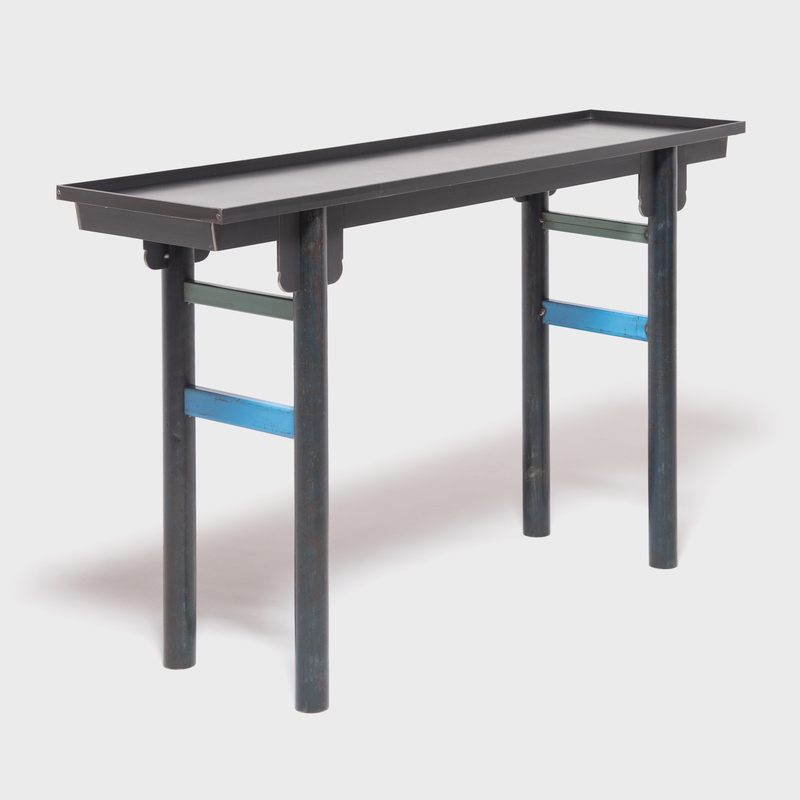 We love the pop of color provided by the table's bright blue side stretchers. 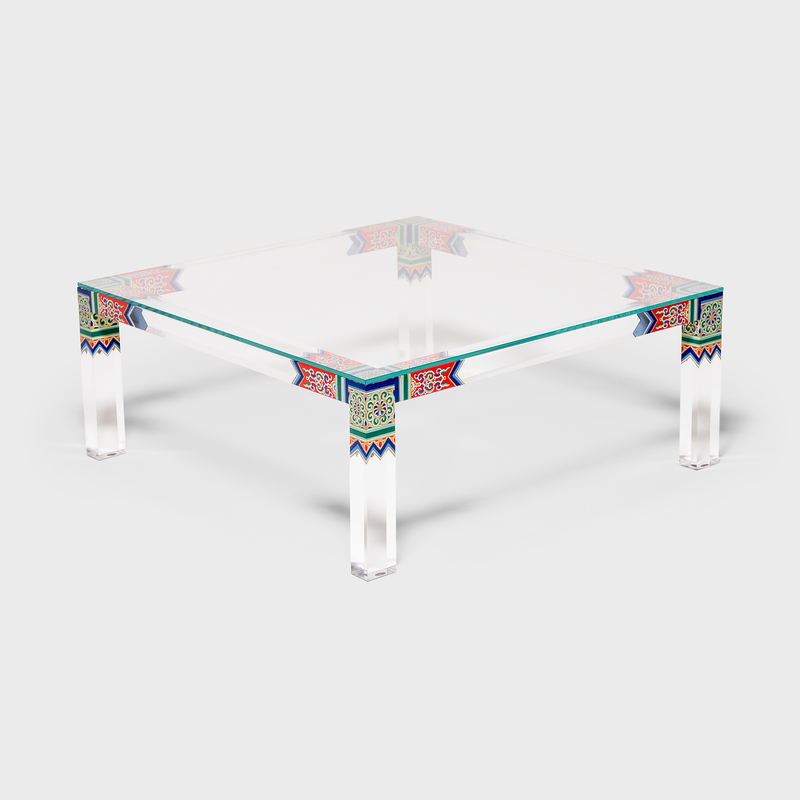 Each table is made to order and can be commissioned in a variety of sizes. For more information on lead times and pricing, please call 888-878-8628.